The current Runway Inspired Challenge (ric#71) , is a tribute to iconic designer Oscar de la Renta, who recently passed away. Eight looks from his Spring 2015 show were provided as inspiration. The transparency of the dress immediately put VELLUM in my head. And the floral design reminded me of some washi tape that Offspring3 bought for my birthday last month. I cut a frame of royal blue using Lawn Fawn Stitched Rectangles, and mounted vellum to the back of the frame. I added the washi tape to the back of the vellum (to diffuse the color more). I put two “thank you” die cuts together (and trimmed off one layer of the “u” that would sit on the blue frame), and mounted on the front of the vellum. I wanted the frame to be raised, so I added foam tape to the back. Hmmm….how about some sequins behind that frame?? I couldn’t resist, although I am wondering if I will ever use a shaker thank you card! No worries, I will find a use for it. Supplies: Paper – LCI Paper Royal, Papertrey Ink White, Stampin’ Up! Vellum, dies – Lawn Fawn (stitched rectangles), Papertrey Ink (thank you), washi tape – Recollections, sequins – Doodlebug Designs. Categories: card, thanks | Tags: card, Doodlebug Design Inc, Lawn Fawn, LCI Paper, Papertrey Ink, Recollections, Runway Inspired Challenge, Stampin' Up! | Permalink. A perfect choice of washi tape, and I love the shaker behind vellum idea, looks great! Thanks for strutting your stuff with us at Runway Inspired Challenge! An adorable card. I LOVE how you used vellum- it really mimics the translucent nature of the dress! 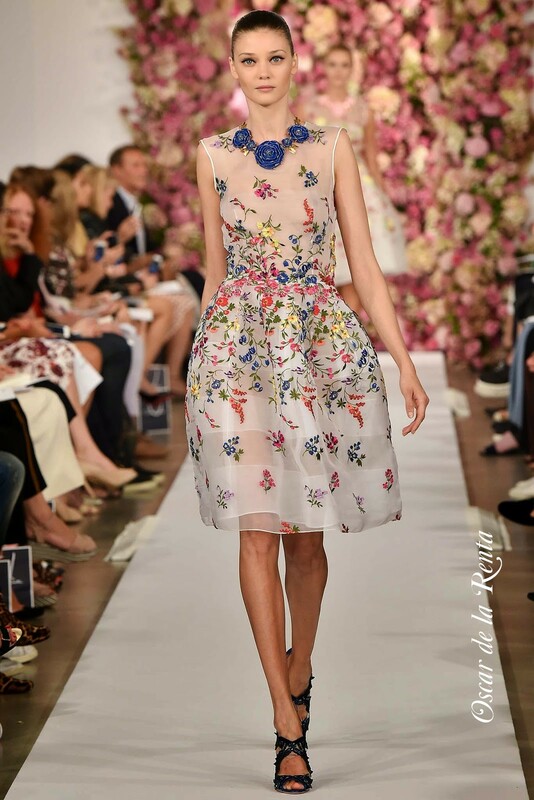 Thanks so much for honoring Oscar de la Renta with us on the Runway! Thanks so much, Jen…it was an honor to participate!